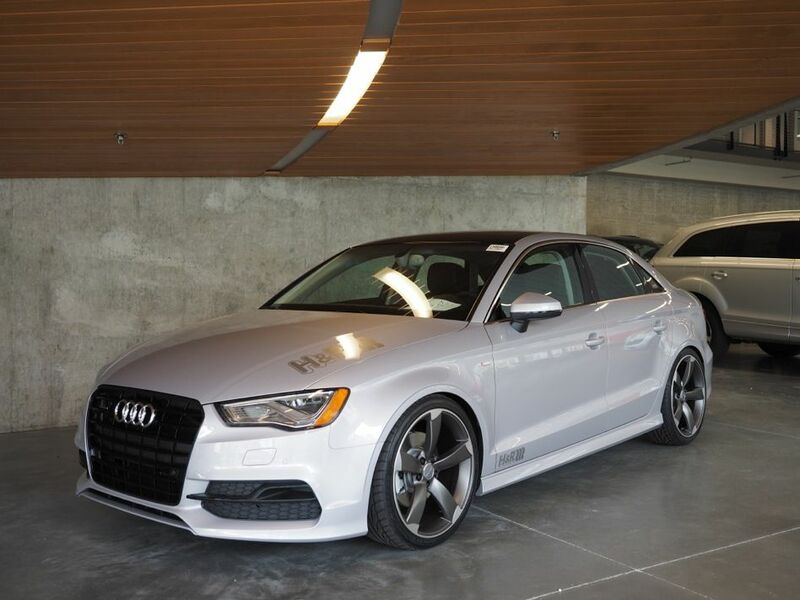 H&R 2015 Audi A3 Sedan quattro | H&R Special Springs, LP. Compact sedans are always popular and the new Audi A3 is sizzling hot! 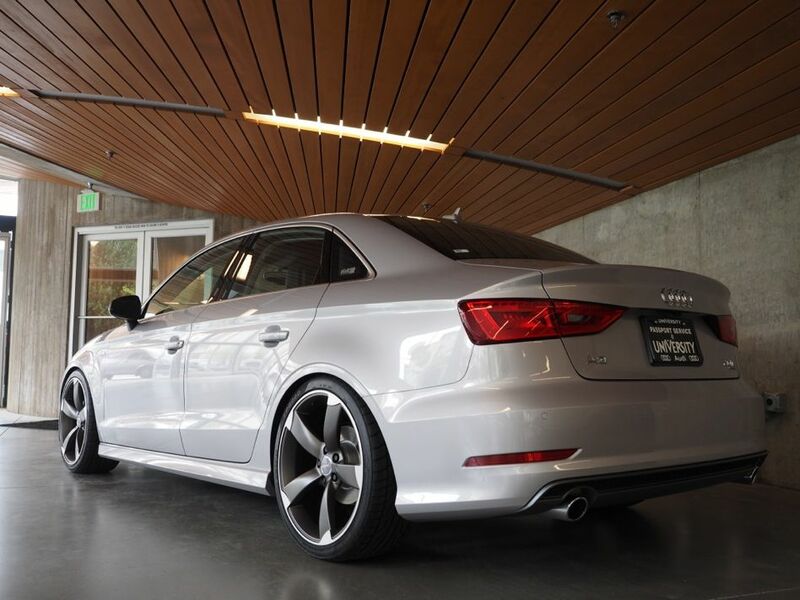 The H&R 2015 Audi A3 quattro sedan really shows of this dynamic style. H&R Special Springs and University Volkswagen have once again teamed up to create another awesome demonstration vehicle! Starting with the new Audi A3 2.0T quattro, we’ve added our awesome H&R Street Performance Coil Over Suspension lowering the chassis 1.8” front and 1.9” rear for a very cool euro-look! A set of Hartmann HTT-256-MA: M wheels from Achtuning in matte anthracite machined finish, size 19x8.5 inch are wrapped in 235/35x19 tires. 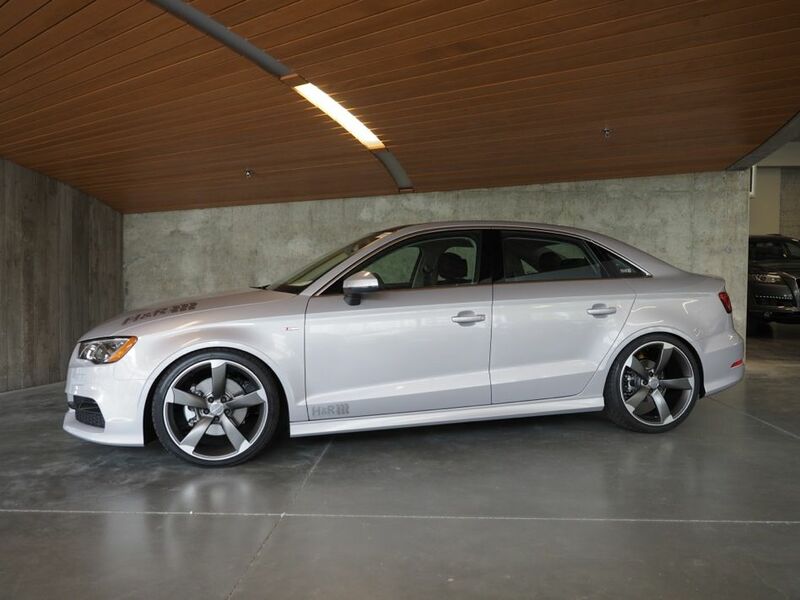 The five spoke matte anthracite wheels give a bold statement to the silver Audi! H&R TRAK+® Wheel Spacers in a 10 mm thickness fill the fender gap perfectly for flush profile. 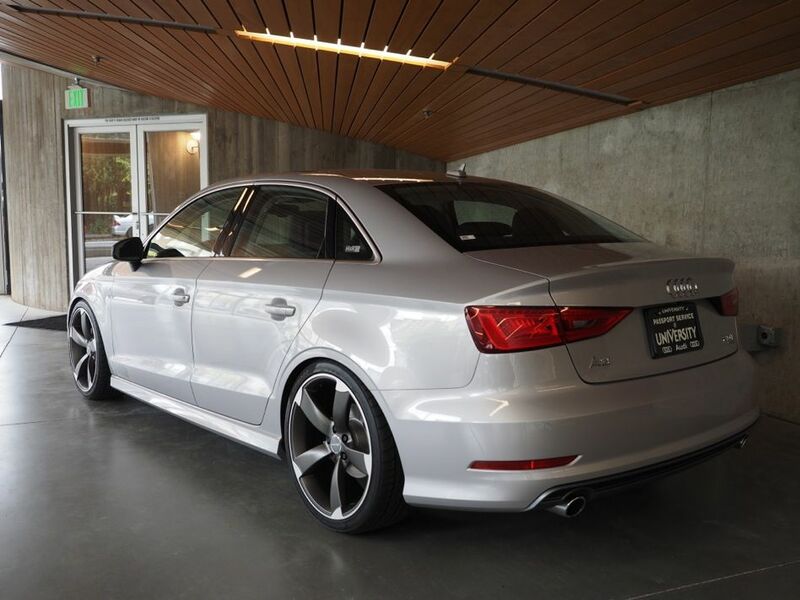 The H&R 2015 Audi A3 was launched at the 2014 Leavenworth Drive and is currently on display at University Volkswagen in Seattle and can be seen at numerous NW car shows this summer!